Go for a blue hue, but make sure it’s got a deep, navy tone. This kitchen looks smart and sophisticated, whilst retaining a classic feel. The marble island unit creates a feeling of light and space and means the cabinetry doesn’t dominate too much. A mid-toned grey is a great option. Dark enough to make a real style statement without feeling too heavy and oppressive. Here the walls and ceiling have been painted in the same tone, giving it a uniform look. Wooden furniture and neutral-coloured floor tiles add warmth. 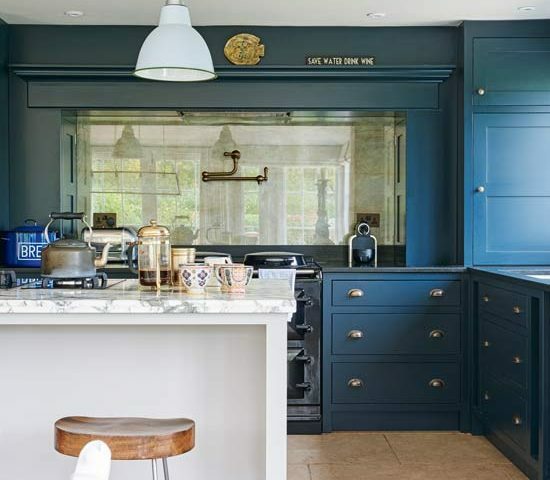 This strong cabinetry colour is dark, moody and oh-so trendy. The white walls add contrast and the chunky taps lend a contemporary feel. 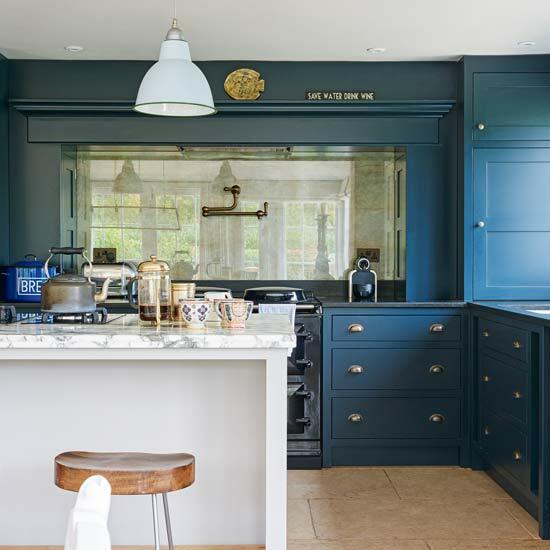 The worktop is a similar colour to the cabinetry showing that sometimes two dark shades together can be complimentary.